Last March I began my search for different types of blown-out eggs to put in a nest on our coffee table. 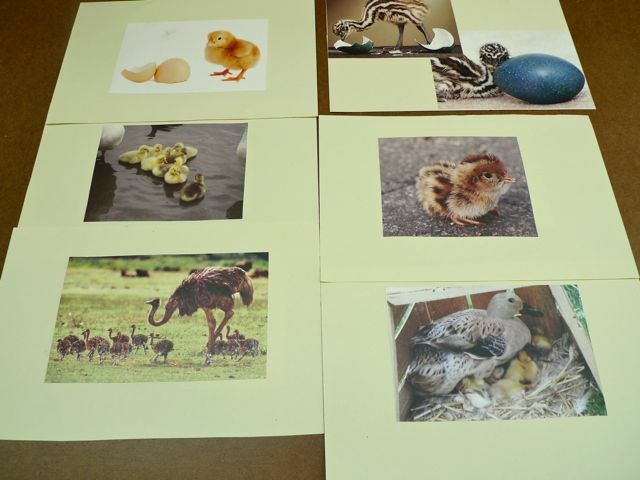 I thought it would be a great way to teach the little miss about birds and hatching. 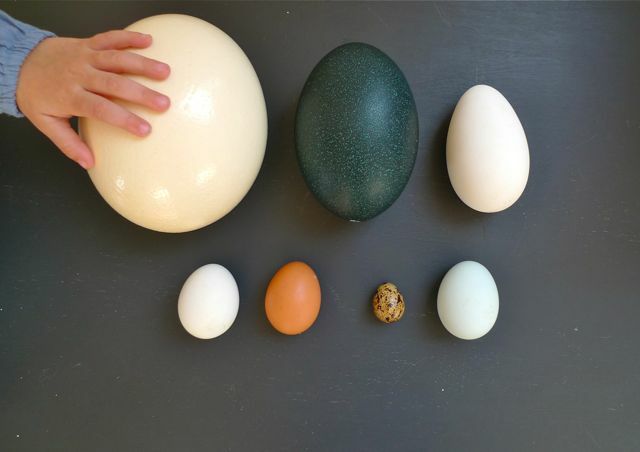 So far in our collection we have eggs from an ostrich, emu, chicken, duck, goose, and quail. Clementine likes to pick them up and feel how smooth or textured they are; she is very good with them, realizing their potential fragility. 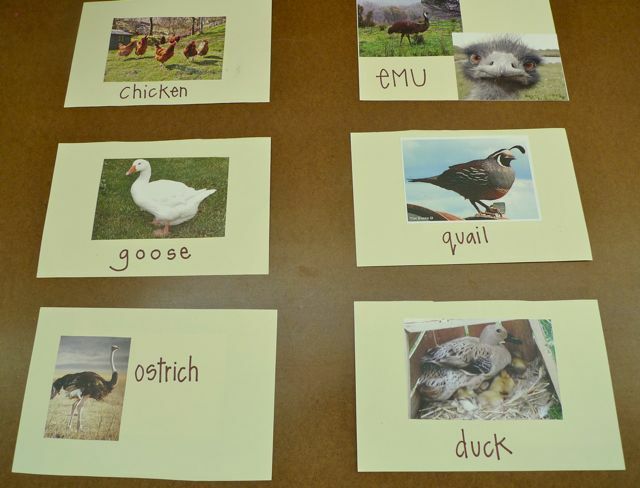 I made some flash cards with pictures of the birds and their babies. We match the egg to it's appropriate picture, talk about where the bird lives, what sounds it makes, how big they are, and other observations, and then thanks to you tube we can watch these birds hatching from their eggs! I thought putting out our nest of eggs every year would make for a fun spring tradition.